Did you know that dogs can get seasonal allergies too? If you are watching for signs such as sneezing, coughing or breathing problems though, you are looking for the wrong thing. Disclosure: I received compensation for this post. All opinions are honest. I was intrigued to learn just recently though that dogs can get allergies and even more, that allergies don’t affect the respiratory system in dogs. Dogs get seasonal allergies but the symptoms are different. In dogs, allergies attack the dermis aka the skin. 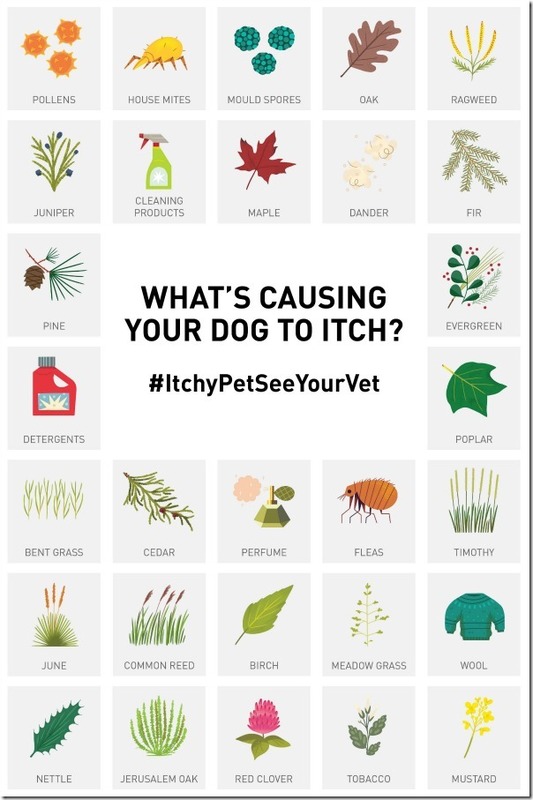 Royal Canin wants you to know what to look for in your dog so they developed a campaign called #ItchyPetSeeYourVet with the help of the Canadian Academy of Veterinary Dermatology. Dogs and humans share many of the same allergens but dogs can also be allergic to things not commonly seen with humans. More importantly, these allergies show differently than with humans. I had a dog once that chewed all the fur off her back end and we couldn’t figure out why. I’m almost positive now that it was allergy related. Luckily our current dog doesn’t seem to have that problem. With the amount of weeds in our backyard, I’m glad! Here is an infographic to help you remember the signs using the acronym ESP: Ears, Skin and Paws. 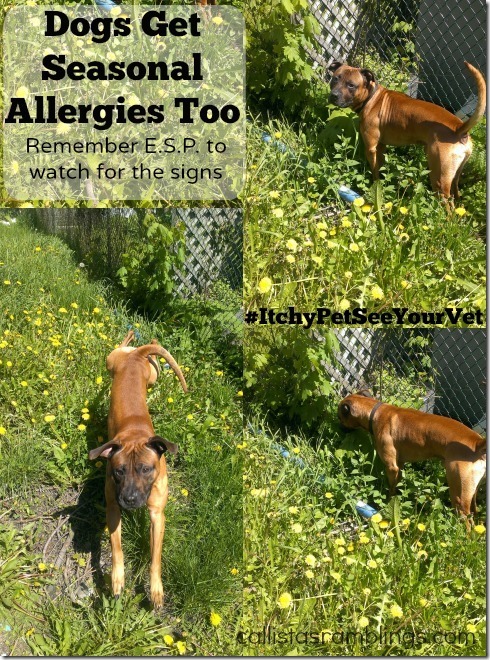 If your dog is showing signs of seasonal allergies you should make an appointment with your vet to discuss the possibility of allergies and possible treatment options such as medications, special shampoos or special pet food. In a dog, the allergens get into their body through their skin. The following image shows you just how many different possible allergens there are for a dog. Some are more prevalent in certain parts of the world.